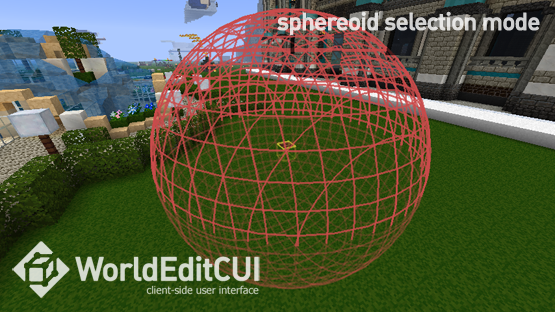 A graphical user interface for WorldEdit. 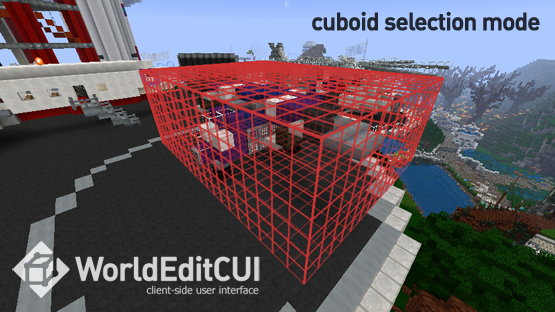 WorldEditCUI is designed to assist in using WorldEdit, as well as preventing accidental errors. This mod is also available as part of The VoxelModPack. 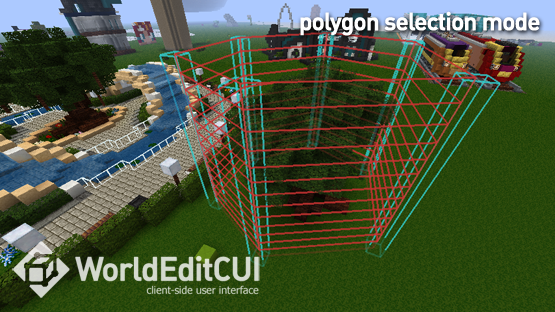 Provides the functions of WorldEdit in singleplayer, allowing manipulation of thousands of blocks, leveling mountains, generating shapes and more.Provides the functions of WorldEdit in singleplayer, allowing manipulation of thousands of blocks, leveling mountains, generating shapes and more. VoxelFlight is the premier flight mod for creative builders and server admins. It is an epic method to allow players to soar through the sky with features including cinematic flight, no-clip, multiple speed options including "sprint boost" and more.VoxelFlight is the premier flight mod for creative builders and server admins. It is an epic method to allow players to soar through the sky with features including cinematic flight, no-clip, multiple speed options including "sprint boost" and more. Take control of your Minecraft client. Bind keys to commands and automate simple or complex tasks. Design your own heads-up display and create your own interactive menus in-game quickly and easily. Perfect for use with WorldEdit, MCMMO, server administration, or trolling your friends. Plus it dispenses free cake. Take control of your Minecraft client. Bind keys to commands and automate simple or complex tasks. Design your own heads-up display and create your own interactive menus in-game quickly and easily. Perfect for use with WorldEdit, MCMMO, server administration, or trolling your friends. Plus it dispenses free cake.